Being a manufacturer of DVD, video rental and game rental machines, allows us to offer our customers a range of unique advantages on video rental business. We are manufacturers of DVD Rental Machines. Original-Video video stores offer a video rental business opportunity. We have over five years experience in developing and manufacturing DVD and game rental machines. This experience and knowledge has been transferred to our manufacturing plant in North America. Being a manufacturer of DVD, video rental and game rental machines, allows us to offer our customers a range of unique advantages on video rental business. Manufacturing the product ensures we offer with our DVD rental machines, the most competitive price on the video rental business. 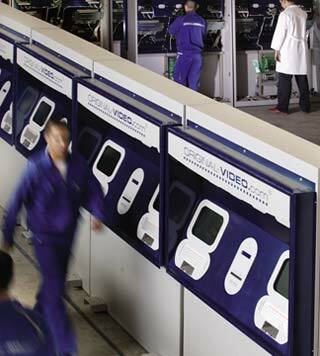 Our technical assistance team is highly involved in the DVD rental machines production process. This means they are well placed to resolve any equipment queries should they arise. Investors can visit us to witness the full building process of the DVD rental machines before they choose to purchase a video rental business.